What is something that makes the creative WordPress themes? Is it only responsiveness, attractive layout or something else? For a theme to be creative and perfect it should be equipped with certain features. But is there any “Alladin’s jin” which can help us in getting the feature-rich theme? Ummm…..may or may not be! No need to waste your precious time. As we are here with the sorted list of 5+ Creative WordPress Themes. Here beautiful slider section can amaze the visitors in an astonishing manner. All the listed themes are retina ready and easy to use. One of the many features is that you can start your own online store with WooCommerce integration in them. Here is our amiable, charming & delightful 5+ Creative WordPress Themes. Let’s get into each and every theme one by one. VideoCraft is a completely stunning, gorgeous and beautiful multipurpose WordPress theme. This theme is particularly designed to give your website a complete astonishing look. VideoCraft allows you to start your own video websites like youtube. This theme is equipped with amazing features which ads beauty to your website. User registration module – a system for user video uploading and video embedding is one of them. Grab a complete solution pack to give your video website a captivating look at $97 which includes lifetime support. You can also get InkThemes premium themes membership at $147 for the first month, then $15 for each month. Videos are much more engaging & enchanting than blogs. 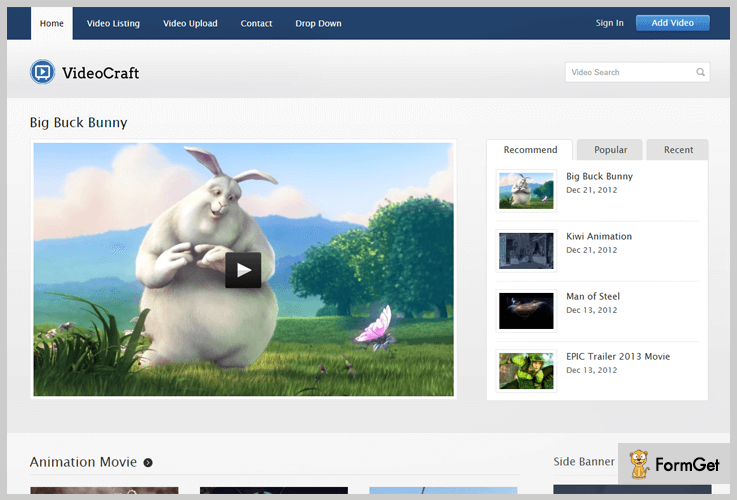 VideoCraft allows you to upload a video with admin panel and display beautiful videos directly on the homepage. You can upload your own video and can share it from other video sharing platforms. This is a 100% responsive theme. This makes it look delightful in all the devices equally. You will also get 16 fully editable banners. With PSD file you can edit this banner whenever you like. Equipped with built-in ad menu which supports any kind of Google Ads or Ads from other sources. Supports all Major Video & audio formats like MP4, FLV, MP3, AAC etc. StartPoint is an admirable, exquisite and exceptionally multipurpose beautiful WordPress theme. This one-page theme is composed of all the modern features to make your website a unique one. It comes with a full-width slider and attractive custom styling options. This is perfect for the all the businesses. 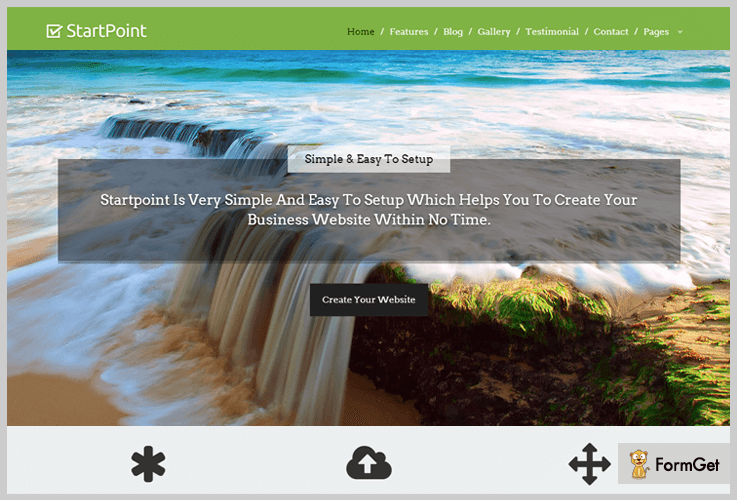 StartPoint will give a dazzling effect to your website within few minutes. With lifetime update & support, you can get this theme at $59. The premium themes membership is available at $147 from InkThemes. You will get a herculean front-end framework with the help of bootstrap. Beautiful and attractive transition effects with parallax effects. This gives a majestic browsing and scrolling experience. Images will come in different categories. The wookmark feature made this possible with inbuilt filter effects. To add more beauty to the theme you will get several unique template color skins. Comes with 4-Column Widget area where you can add the “n” number of customized widgets. 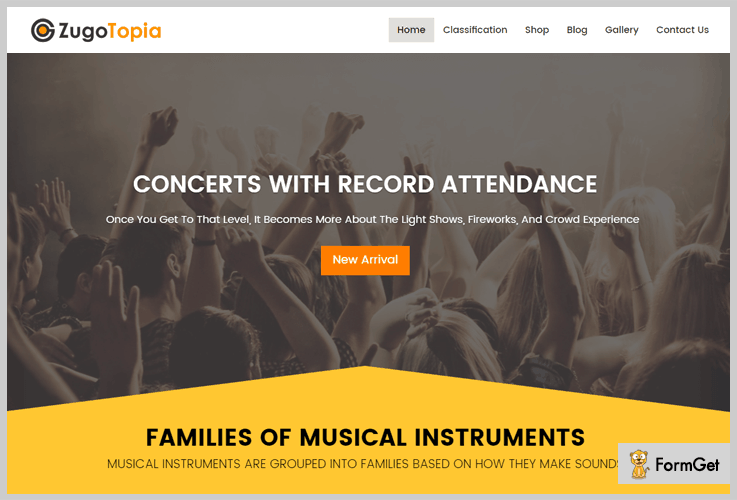 If you are looking for a creative, simple yet appealing e-commerce website then ZugoTopia is the solution for it. This theme is created especially for e-commerce businesses. It also comes with a very important and useful feature of multi-vendor functionality. ZugoTopia a multi-vendor E-commerce WordPress theme is available at a reasonable price of $97. Ink multi-vendor plugin provides facility to merchants & businessmen who don’t have an eCommerce website. They can submit their products to your website & sell them across the globe. You can showcase fascinating pictures of your business with attractive full-screen slider images. It has the beauty and simplicity of email subscription form. Your clients and new visitors can use it to remain in touch with you. Facility of unlimited color options. You can make up your website the way you like. You can also share videos with testimonial section which comes with a widget sidebar. 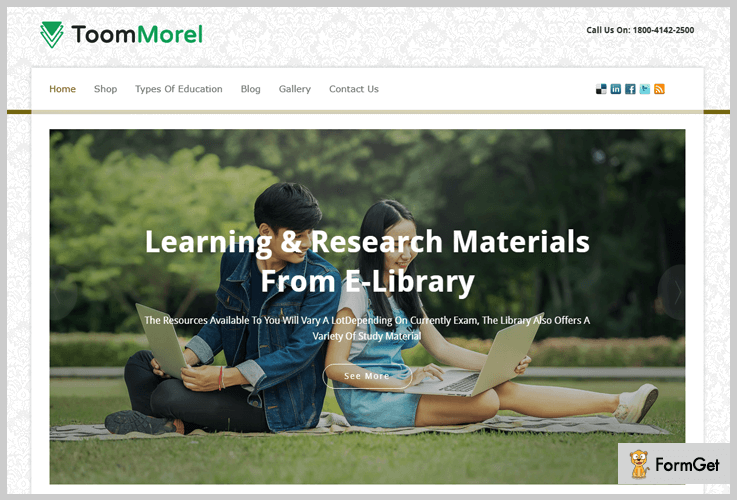 ToomMorel Pro is a functionally effective, minimalist and elegant WordPress theme. This theme is easy to install and takes minimum time to get your website prepared. The business images can be displayed with the fleet gallery. You can also show your services with service section. Artist, tech company, veterinary or any commercial proprietor will find this theme the best match for them. Give your business website a new look with ToomMorel Pro at $59. You can showcase your business information beautifully with the accordion section. Here latest news, notification or other business related news can be displayed with ease. The theme is WooCommerce compatible. With this online, you can create your own online store. Gives a compulsive view to your website with a background image in the footer area. Feature section is a special section of this theme. It allows you to make your visitors understand each and every attribute of your business easily. Theme options panel provides too easy customization o your theme. You can select the color you like from pack of 7 beautiful colors. 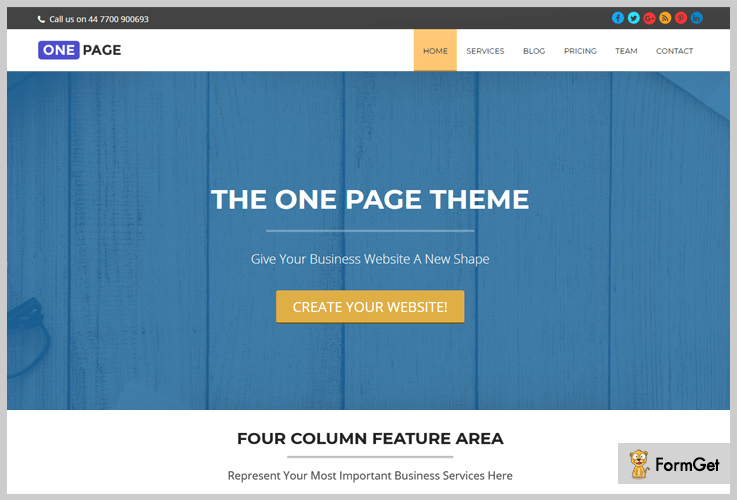 One Page is a simple yet creative WordPress theme. You would be amazed at its features like blog section and video section. With this, not only you can publish a blog but also can engage the customers. You can also display your business services in a hexagonal portfolio section. This beautiful theme is a multipurpose theme which is suitable for every kind of business. This theme provides you the utility of more than $100. But you would be amazed at the fact that it is available FREE of cost. You can download it easily from the official site of WordPress. Team section with a maximum input of 4 members. Here you can showcase senior members of your company. This theme comes with single yet effective theme layout. You have the option of using unlimited color option to make your website outstanding. Get social and engage more crowd with inbuilt social icons. This includes Facebook, Instagram, Twitter etc. 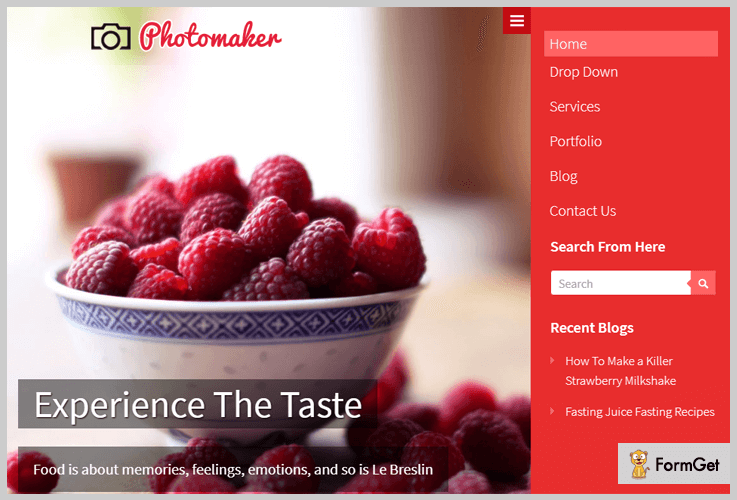 PhotoMaker is one of the most creative themes on our list. The very first thing which makes the theme beautiful is the customization option. PhotoMaker makes this possible with theme option panel. You can sue this panel in a creative manner to make your website different from others. With 300+ active installation and rating of 4.5 out of 5, this theme will really be an asset to your website. Good news is that PhotoMaker is absolutely FREE of cost. Then why to wait? Download it from wordpress.org right now without any hurdle. Inbuild delightful contact template comes with google map feature. This helps your customers getting in touch with you. The color skins in this theme are attractive. They will surely attract the visitors that ultimately will convert the sales. The theme is 100% responsive. Be it a mobile, desktop or a laptop, PhotoMaker will work with its full efficiency. The gallery section is organized in a pleasurable manner. Here you can display amazing images of your business. All the themes in the above blog will definitely provide a completely unique look to your website. I hope that this blog helped you to get a suitable theme for your business. Although this blog itself has cleared all your queries, still if you have any doubt or suggestion, then you are free to comment below. We will get back to you within no time.